The news and images of migrants drowning on flimsy boats on the Mediterranean or washing up along its shores – dead or alive – is becoming a recurring representation in the archive of clandestine migration into Fortress Europe. Clandestine migration has been on the rise since 1995, when several European Union nations implemented the Schengen Agreement to erode internal EU borders and fortify external ones. Beyond the distant images of washed-up bodies on the shore or a packed craft stranded at sea is the everyday theatre of migrant detentions and expulsions from the towns bordering the Mediterranean. MTO, The Mediterranean Door, 2014. Qui Si Sana, Downtown Sliema, Malta. 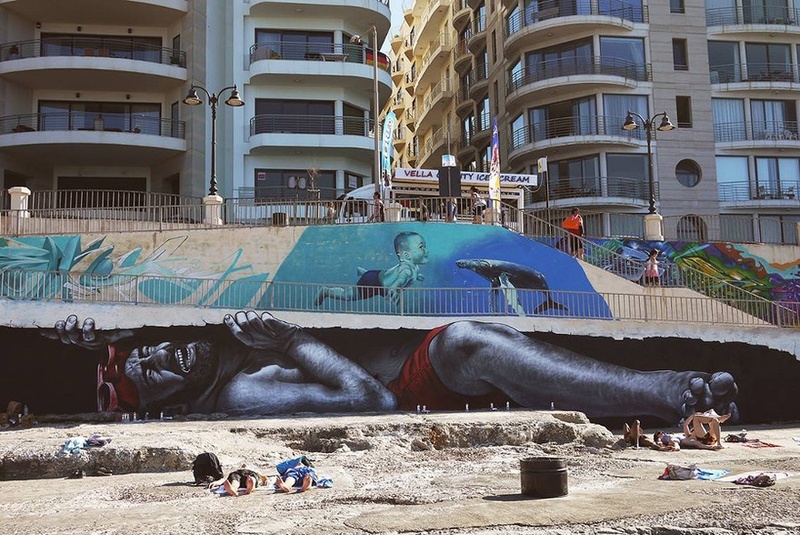 Mural created for Sliema Street Art Festival 2014. Model/Actor: Trevor Diacono. Courtesy the artist. On the neighbourhood walls of the southernmost Spanish town of Algeciras on the Mediterranean, mere kilometres from North Africa, racist commentary targeting migrants is visible for anyone who cares to see it: ‘No Moors,’ ‘Moors out,’ ‘No to colored immigration to Spain,’ ‘Stop immigration,’ ‘Kill Negroes’. Much in the news has been made of the high-tech wall separating Morocco from the Spanish exclaves on African soil, Ceuta and Melilla, to keep Moroccans and other African migrants from reaching what is technically EU territory. But what graffiti found on the neighbourhood walls of a town in southern Spain (on European soil) reveals is the contingency of the border through the practices taken across and around them. Border practices succeed in making a border out of a fence, a wall, and blockade, a ditch, thus their ephemerality. The constant of borders resides in the logic of statist and territorial governmentality, which borders are drawn to embody. But, most significantly, this logic also reveals the ways a wall, a fence, a blockade can be deployed in other forms, such as culture, race, class, and gender in the formation of borders. Never announcing themselves as borders are the cultural, racial, class, gender divides dispersed within the EU’s borders, as displayed by the racist graffiti in Algeciras. But in towns bordering the Mediterranean, considered the faultlines of the South-North global divide, public space is being reclaimed in ways that engage the border zone – not as a place to be policed but rather used to reflect the jarring daily theatre of detentions and expulsions fortifying Fortress Europe. In the Spanish enclave of Melilla bordering Morocco, on a wall close to the border where many cross every day to work, buy and smuggle goods, or take in the razor-wire fence, its video cameras, guards, and helicopters, is a blue mural depicting the EU flag with golden barbed wires in place of stars, and a large crowd around the circle looking in. The mural painted by the Italian street artist Blu, like many others emerging around Mediterranean towns, depicts the conditions of migration often reflected in the sea’s border zones. Blu, the pseudonym of the Italian artist who painted the Melilla mural in 2012, commented on his work by addressing its subject – the EU as Fortress Europa: ‘Have you have wondered how Europe looks from the outside? It looks like a huge electrified triple fence decorated with barbed wire. That is how it looks like in Melilla, a Spanish colony in Africa.’ That the mural’s political message of a militantly exclusionary EU as seen from the eyes of an outsider is positioned inside EU territory, right on the faultline dividing it from Africa, is significant. Agamben has suggested that only when ‘the citizen has been able to recognize the refugee that he or she is – only in such a world is the political survival of humankind today thinkable.’ This is not to say that all potential migrants into the EU are refugees, but the mural presents to the insider the view of the outsider, and seeks to generate an empathic perspective. But, especially in Melilla, one of Spain’s most celebrated modernist cities, reflected in French Art Nouveau references, Viennese Secession details, and bold Catalan Modernism, street art depicting migration functions not only as political communication. 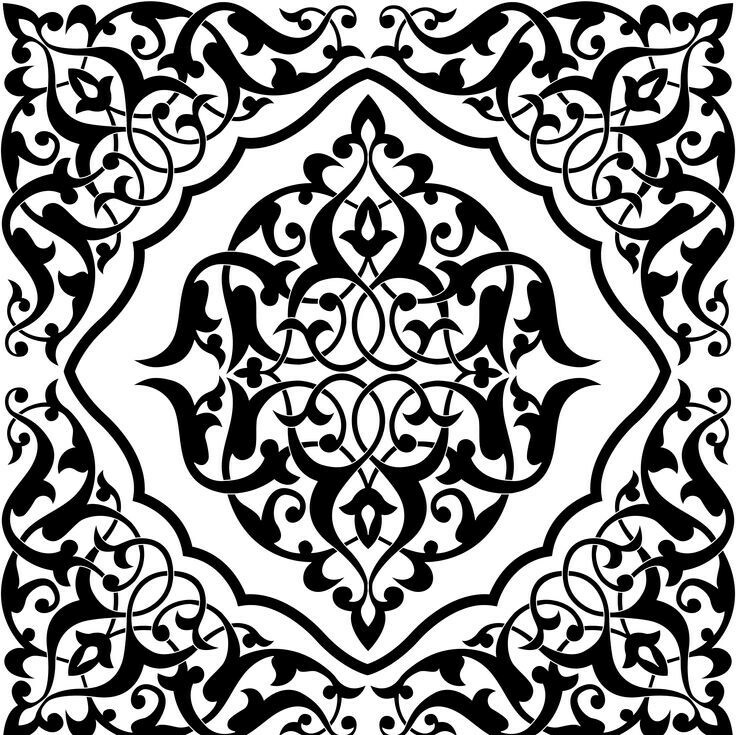 It also presents a phenomenological disruption, a rejection of normalized messages running through urban strategic space – yes, billboards, store displays, street signs, but also the normalized architectural landscape showcasing cultural openness, artistic exploration, diversity displayed through the mixed modernist and Islamic, Christian, Judeo elements of churches, synagogue, and mosque.The barbed-wire flag mural engages in what has been referred to as ‘cultural jamming’ – an interrogation and disruption of the totalizing effect of commodification in our lives. In this case the commodification plays out in a stylized urbanism, and the ‘jamming’ in the mural’s self-conscious mirroring of the militantly exclusionary space that boasts of cultural harmony and inclusion through its architectural vernacular. Although somewhat publicized in niche street-art publications, these types of migration murals are not exactly centrally located. 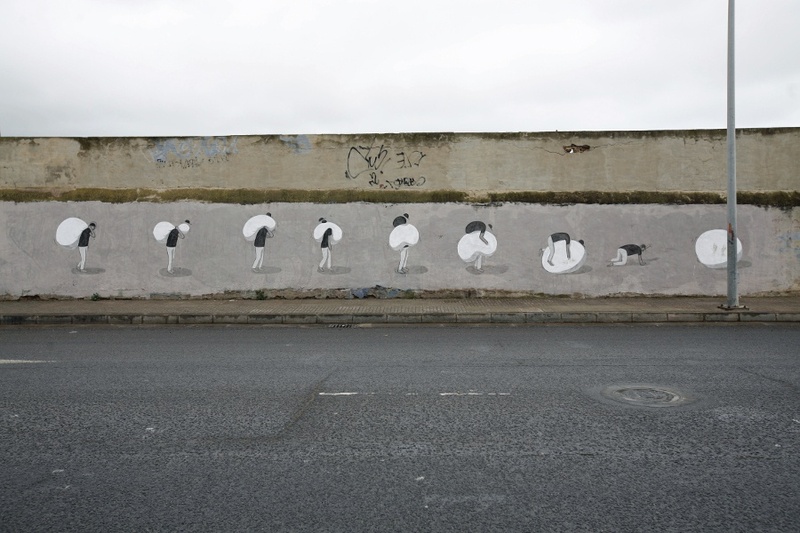 A less political mural, called Dematerialization (2012) by Escif on the borderland of Melilla, shows a migrant carrying a large sac on his back, with the following illustrations of his figure falling under its heavy weight, and finally being consumed by it, so that the figure becomes a walking sac, merely a walking symbol of transient migration rather than a human figure. The wall on which it is painted is considered ‘ugly’, forgotten like the one where Blu’s mural is found. As opposed to his apolitical mural Entropy (2012) featured quite prominently on Melilla’s Art School building, this mural is found on a highway wall. So although these migration murals have gained attention, it is not because they have been centrally located, or rather to put it another way, one cannot fully attribute the global attention the street art has garnered to the openness and largesse of Melilla administrations, but rather due to their striking style and the artists’ reputations. So although this street art may potentially promote or add exchange-value to the city, the city’s values of self-reflexivity when it comes to openness or diversity may not be quite commensurate. Still, Melilla is not the only place where street art and murals depicting the dehumanizing effect of migration have an effect on public space. 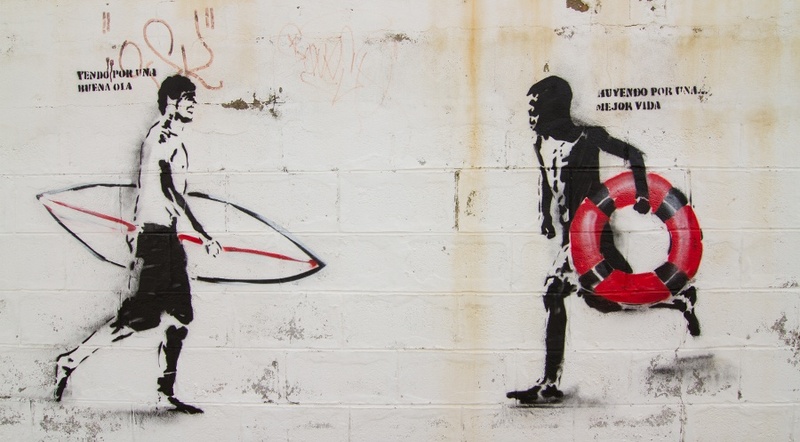 Street art depicting migrant Mediterranean crossings can also be found in Malta, Granada, Sicily, and places bordering the Mediterranean where thousands risk their lives on boat crossings each year and many wash up on shores of Fortress Europe, both because of and despite the sea’s militarization and acute surveillance systems. Gec, ‘The raft of Lampedusa’- homage to Gericault, 2011 Favara, Sicily, Italy. The Mediterranean passage is significant within the context of the Global South as a bounded place, because it takes into account the ways the Mediterranean is both a geographical and cultural entity (taking a cue from Franco Cassano) that connects, as Cassano claims, ‘a South, the Italian one, and the South of the worlds.’ On one hand, southern Europe is part of the EU, but its peripheries, such as the southern territories, are linked to the other side of the Mediterranean, thus the documentation of this border crossing on the urban landscape cannot be detached from its Mediterranean context, a transnational network of south-south relations. Inspiring a scholarly chain of transmissions in Mediterranean studies, French historian Fernand Braudel’s history of a unified Mediterranean in the sixteenth century centralizes the timeless ‘constants’ of a geography that produced civilizations that linked its shores. It is true that the study of the Mediterranean has an inclination toward essentialisms. Literary and cultural historian Predrag Matvejevic has highlighted the North-South divisions troubling notions of Mediterranean unity and connectivity, arguing that it is not even possible to consider the Mediterranean a single sea without accounting for the conflicts and ruptures in its ‘meeting points.’ But the notion of the Mediterranean as a template for a cross-cultural contact zone, as historically infused with past crossroads, exchanges, is based on the sea’s connective properties. Resurgent Mediterranean scholarship in the modern era, however, is intent with not only positing the Mediterranean as a common space for cultural and economic exchanges but struggling with integrating into a modern Mediterranean history the way the sea’s present routes, ports, and coastal cities impose their own borders and frontiers. In these global contact zones, street artists comment on, address, criticize, satirize, or subvert hegemonic discourse of perilous boat migration or crossing. Of course, one need not only fixate on street art intentionally placed in border spaces. Artwork more prominent in the confines of the art world that addresses the Mediterranean border divide, like Franco-Moroccan artist Yto Barrada’s series’ Bornes (2006), La Contrebandière (2006), and Le Détroit (1998–2004) on the flow of people and product traffic across the border, reveals both the desires of migration and asymmetries of neo-colonial relations, relating to economy, politics, and mobility, in a globalized world. Artist Bouchra Khalili, also of Moroccan background, explores relationship between migration and colonialism through video and mixed-media installations in The Mapping Journey Project (2008–2011). As migratory trajectories are being mapped, speakers narrate the experience of clandestine migration, creating an alternative map of the Mediterranean by marking their own irregular routes on the maps. There is much more artwork addressing the stark North-South asymmetries of global economy and politics of mobility in the art worlds, but with this street art explicitly positioned in the border zones, those on the margins, particularly the undocumented and invisible, are likely inscribed in the consciousness of the cities where their struggles might be made more visible. Yescka, Huyendo por una mejor vida, 2014 Tarifa, Spain. Photos by Jonathan Rutsch. Courtesy the artist. (Image reads “Yendo por una Buena ola – Huyendo por una mejor vida”, Going for a good wave – Fleeing for a better life). 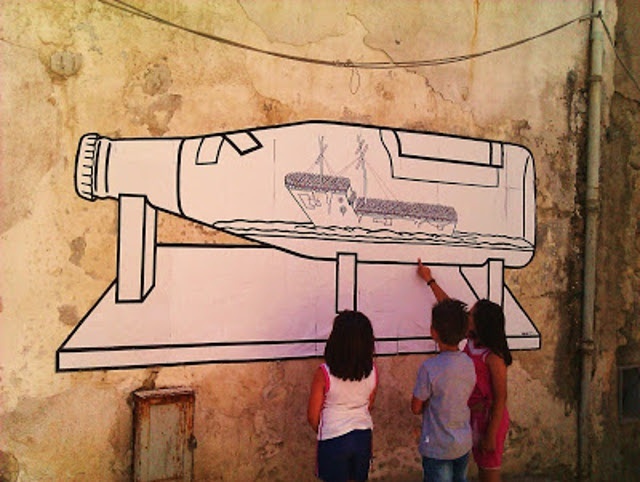 In the largest island on the Mediterranean, Sicily, street art by GEC entitled The Raft of Lampedusa (2011) shows a ship encased in a bottle. But the ship, rather than showcasing its sails as is the case with the old form of maritime art, appears to be crowded to the hilt with passengers – an iconic image of undocumented Mediterranean boat migration in the media. Since the early 2000s, the island of Lampedusa, referred to in the title of the piece, has become a transit point for migrants from Africa, the Middle East, and Asia attempting to enter European territory, where they end up detained in deplorable conditions in the island’s temporary immigrant reception centre (politically and administratively, Lampedusa is part of Italy, but geologically belongs to Africa since the sea between the two is no deeper than 120 meters). Captured images of crowded and flimsy boats crossing the Mediterranean have been ubiquitous in the media, especially in regards to those who arrive on Lampedusa, as though on perpetual loop to signal a sort of mass invasion of Fortress Europe. The mural addresses not only the spectacle to which the migrants are reduced – hyper-visible and enclosed as a ship in a bottle – but viewers of the mural are looped into the spectacle themselves by watching it, not as a neutralized, seemingly objective media image, but as the spectacle it has become. The spectacular quality of media imagery and commentary on cross-Mediterranean migration are emblematic of the depiction on the other side of the divide; it showed migrants not as individual human beings, but rather as disembodied spectres, whose presence in Western discourse was already aligned with a vaguely defined and quasi-spectral terrorist threat. The mural’s détournement, in the Debordian sense of using spectacular images to disrupt the normalization of the spectacle, in the form of street art, then, has the potential not only of calling into question this spectacle of the crowded raft carrying de-individuated masses as a set of images but rather as the social relationship between people (natives/foreigners, migrants/non-migrants, self/other) mediated by images of the crowded raft. Another large-scale mural that gestures toward migration in Sicily, again by renowned artist Blu who painted the barbed-wire-flag mural in Melilla, can be found at the Teatro Pinelli Occupato, former home of the Port Authority in Messina. Painted in aquatic blue, it evokes the Mediterranean for which the island’s past and current capital (as a port and site of tourism), and shows a ship depositing terrified people and objects, like crosses, TVs, cars, papers, planes into a sea of swordfish. Divided along the lines of above water and below water, the mural reveals the bustling commerce of civilization, with ships and ports filling up on and discarding people and products, but the underwater scene zooms in to the more primitive, predatory details of a global capitalism up above, and shows discarded people hands up in prayer in fear that the swordfish piercing the fallen products do not pierce them, as well. Objects and people become interchangeable in a frenzied underside of mobile, global capital that is, again, made hypervisible in this mural. At the bottom of the ideals of mobility and globalization above sea is a destructive, frenzied global capital circulation of labour, products, ideas, and people that obstructs the utopia of an orderly, bustling, industrious world above. In a sense, Blu’s mural encapsulates a global ‘relational interdependency…of unevenly negotiated relations which disrupts the inside/outside binary of contemporary western geopolitical imaginaries’ that does see would-be migrants as interlopers, rather than those already implicated in an uneven political, economic ecology of global dependency. ESCIF, Dematerialization, 2012 Melilla, Spain. 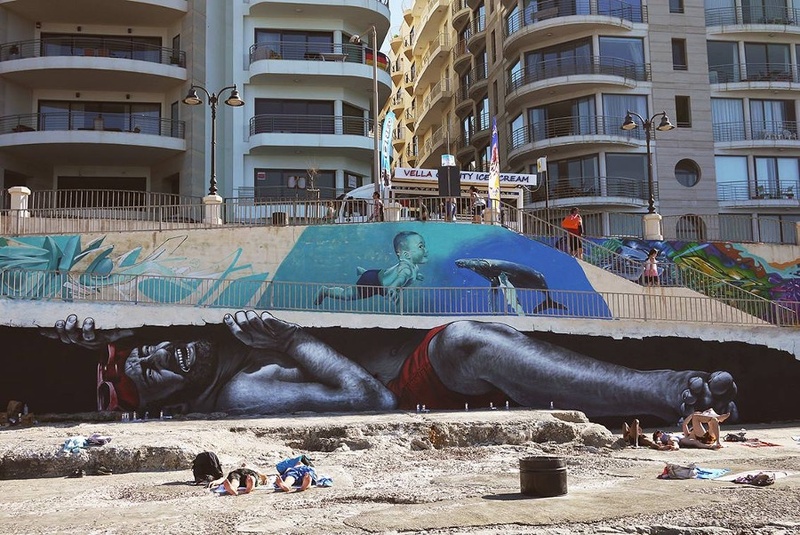 MTO’s mural The Mediterranean Door (2014) is not only striking for its large-scale rendering of a visibly anguished man trapped beneath a wall, but also for its location on a wall beside luxuriating sunbathers on a beach in Malta. The mural, which capitalizes on its location, captures the binary in which the Mediterranean is locked. On one hand, the Mediterranean’s place narrative has been hailed as one of liberatory, holiday-making escape for international tourists. On the other, it is a militarized, surveilled, carceral site for migrants. The tension of the mural in its current beachside location resides in the implication that two worlds, usually divided from each other, collide within the same space. Perhaps this collision can be attributed to the distinction between the Northern tourist and Southern migrant. But really, one does not need to look further than the migration-tourism nexus of south European beaches’ leisure service industries to apprehend an existing contact zone. The beach-border mural dramatizes a two-tier ontology that organizes subjects along a North/South axis where tourists from the North and migrants from the South are subject to dichotomous experiences of the same space: the beach as holiday space and the beach as prison or cemetery. And, whereas tourists experience dead time of tranquil holiday inertia and inactivity, migrants experience a dead time of decomposition/detention. While these bodies in the same sand leave similar imprints, they by no means are subject to the same experiences of the beach border’s space or time. In essence, even though this ‘collision of worlds’ apprehends a contact zone between migrant and tourist, the beach-border encompasses two orders of space-time where in one single place festive holidaymakers in repose and suffering migrants experience different modalities of living, moving, even dying – the European coastline’s border. So while the media story repeatedly gets reframed in terms of collision, what the beach-border dramatizes are two modes and experiences of space and time that unfold in the same site but neither meaningfully mix nor collide. Other street art has emerged, hastily posted artwork showing migrants scaling the fence between Morocco and Melilla, on a wall very close to the fence shown in the artwork, in protest of the treatment of migrants on both sides of the fence. In Grenada, stencilled street art by Yescka shows two figures running toward each other, one white and holding a surfboard and the other black and holding a life preserver, presumably to identify the African and the European runner. The art again evokes the notion of ‘collision of worlds’ between migrant and tourist in the same contact zone, but where one experiences the same site as holiday space and the other experiences it as prison or cemetery. Submerged Mediterranean-crossing narratives and ways of apprehending these narratives are rendered by artists to protest the treatment of migrants on the very same border zone they show their art. And, they keep emerging and changing along the space they occupy – because the Mediterranean is currently transforming and in-flux, determined by the creation of new anti-immigration policies and the erection of new borders to monitor the flow of people across them. Thomas M. Wilson and Hastings Donnan, Border Identities: Nation and State at International Frontiers(Cambridge: Cambridge University Press, 1998), p.106. Giorgio Agamben, Means Without End: Notes on Politics (Minneapolis: University of Minnesota Press, 2001), p.63. The mosque in Calle García Cabrelles (1945) and the ‘Or Zoruah’ Synagogue in Calle Lopéz Moreno (1924) are examples of the flamboyant, ecelctic influences of Nieto’s modernism. Also, the building ‘Casa de los Cristales’ (the Glass House) merges modernism with Arabic calligraphies, the Nasrid and the Marinid motifs. ESCIF have recently launched a crowdfunding campaign to produce and distribute their first book on their work in the last five years to include photos, sketches and future ideas. For more information and to support, see: https://www.indiegogo.com/projects/elsewhere-an-escif-solo-book. By ‘constants,’ I am referring to Braudel’s focus on ahistorical geographical and environmental continuity and determinism through the longue durée perspective of historical time, wherein he privileges the unity of the Mediterranean: ‘coherence of [this] history, the extent to which the movements of boats, pack animals, vehicles and people themselves makes the Mediterranean a unit and gives it a certain uniformity in spite of local resistance.’ Mediterranean and Mediterranean in the Age of Philip II (Berkeley, CA: University of California Press, 1996), p.227. Predrag Matvejevic, Mediterranean: A Cultural Landscape, trans. Michael Heim (Berkeley, CA: University of California Press, 1999), p.25. Amanda Crawley Jackson, ‘”Cette Poetique du Politique”: Political and Representational Ecologies in the Work of Yto Barrada,’ L’Esprit Createur 51. 1 (2011): 66. For more information and works from MTO see: https://www.facebook.com/mto.page. This entry was posted on January 22, 2015 by nahrain in .